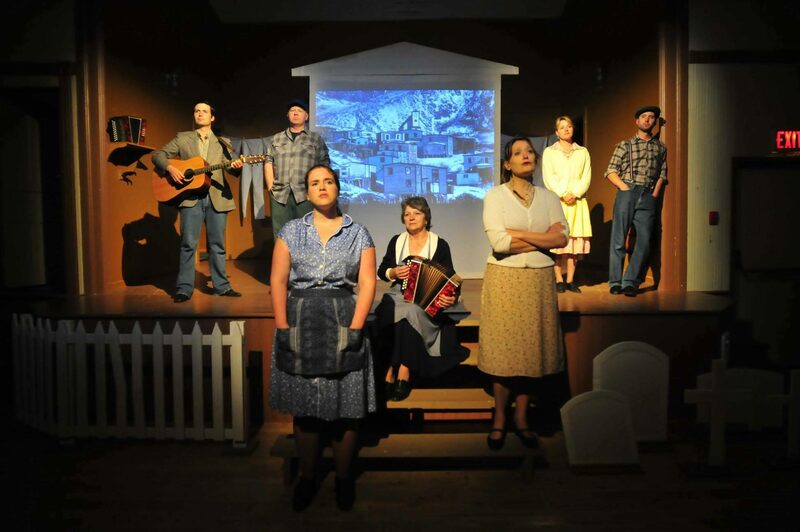 Rising Tide Theatre is located just a few minutes walk from the Artisan Inn’s buildings. Evening performances are offered most days of the week and the New Founde Lande Trinity Pageant on Wednesdays and Saturdays is not to be missed! To ensure guests receive the most up to date information on scheduling, availability and possible changes to performance times, guests are encouraged to book their theatre tickets directly with Rising Tide Theatre. Performance Schedules are often released in late May. All summer long Rising Tide Theatre presents a festival of evening performances relating to Newfoundland life and culture. Many well known Newfoundland actors including This Hour Has 22 Minutes’ Mark Critch, Come From Away’s Patrina Bromly, River Head’s Larry Barry and all three members of the Newfoundland Trio The Once, have been part of the cast of this theatre festival. Some of our favourite plays include: This Marvellous Terrible Place, West Moon, No Man’s Land and Saltwater Moon. The Twine Loft Restaurant offers a pre-theatre sitting starting at 5:30 for plays starting at 7:30pm or later. Regrettably the Twine Loft is unable to accommodate guests trying to get to the 7pm play. Evening performances typically run between early June to late September. On Wednesdays and Saturdays, history comes alive in the streets with The New Founde Lande Trinity Pageant, a walking tour of the town led by actors portraying a few of the more outrageous characters from the not-too-distant past. The Pageant typically starts running in early July and ends Labour Day Weekend. On Wednesday and Saturday evenings, Rising Tide Theatre offers an evening dinner theatre at 5:30. 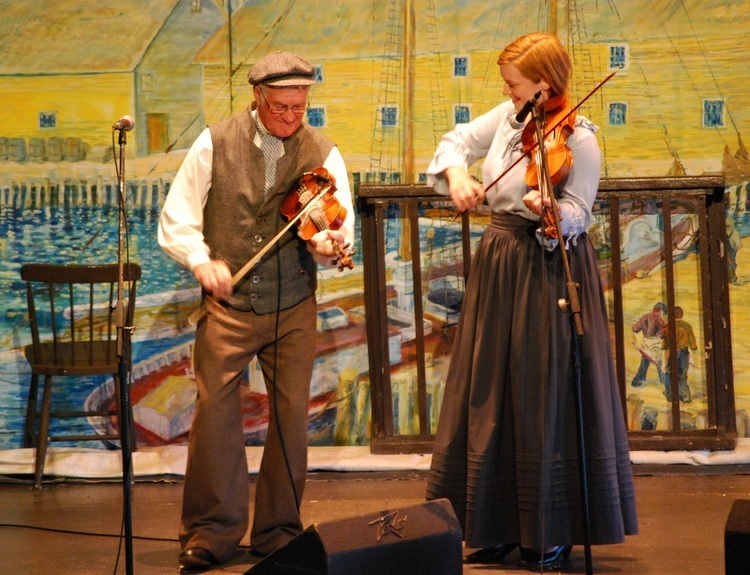 Once dinner is served to visitors in the main theatre the actors take to the stage with a combination of theatrical skits and musical acts exhibiting Newfoundland’s rich culture. Dinner Theatre typically starts running in early July and ends Labour Day Weekend.